We show that the improved performance stems from the combination of a deep, high-capacity model and an augmented training set: this combination outperforms both the proposed CNN without augmentation and a "shallow" dictionary learning model with augmentation. 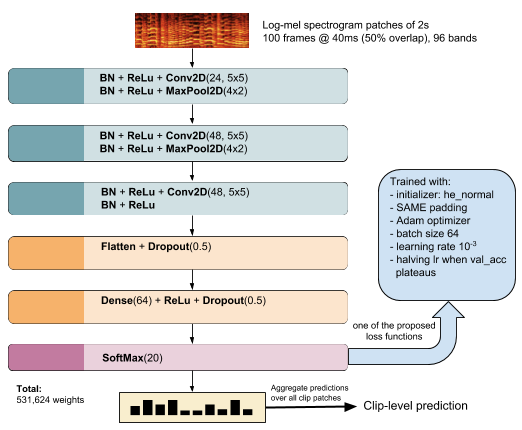 End-to-end neural network based approaches to audio modelling are generally outperformed by models trained on high-level data representations. We have evaluated the MCLNN performance using the Urbansound8k dataset of environmental sounds.